The following Op-Ed is a free translation of an article written by Rabbi Sholom Dov Volpo. With all due respect to the "greatest army in the Middle East", we have been suffering great defeat on all fronts- military and political. There isn't a day when the security situation doesn't worsen, to the point of danger to our very survival as a nation in the Holy Land, may G-d protect us. The PM and the Defense Minister are responsible for the Hezbollah becoming stronger. Ehud Barak left them secret army equipment, and fled with his soldiers under the cover of night. He and his successors ignored the Hezbollah's development, and caused the war and its' results. Since then, the terrorists in the north have turned into monsters that grow without being stopped. Same situation in the South. The expulsion brought the Chamas to rule, weapons and missiles flow freely, with no one stopping them, and zero Israeli reaction. These traitors haven't stopped there, but are talking about further concessions that will give the Chamas total reign in Yehuda and Shomron, and make the Syrians and Iranians into a very real threat to our eastern border. The new Commander in Chief has turned into a poodle as well. He doesn't take a single step to curb the terrorists from becoming more powerful, and doesn't raise his voice in protest of the talk about further territory cessions and uprooting of settlements. When future historians will analyze the collapse of the Israeli state, they will come to a simple and clear conclusion: the beginning of the end was due to the great success of the terror organizations to plant their people in key government positions. The President, the Defense Minister, the police, the media and more all work for them. Ministers and Knesset members are on their side, as well. Let's do some simple math: close to two thousand people were killed since the Oslo Accords! How many funerals did the PM and the Defense Minister attend? How much time did the media allow for each funeral? How many MP's from the different parties came to pay condolences? But.. the funerals of soldiers Goldwasser and Regev, may Hashem avenge their blood, turned into media festivals that were on the air for the longest time. The heads of state starred at the funerals with tear jerking speeches, and hugs with crocodile tears, brought to you by the greatest spin and PR experts around. Where are they when Sderot and Western Negev citizens are killed?? When did they last visit those injured in the terrorist attacks?? Since when are they so sympathetic to widows and grieving parents?? It is clear as day: the whole show was put on to justify their anti-security act of releasing an arch-terrorist, may his name be erased, who is planning the next murderous attack with his friends- and the next prisoner release. Don't worry. If we'll G-d forbid, see the next terror attack as a result , the PM and Defense Minister won't have a problem. They won't have to look those mothers and widows in the eyes, simply because those poor souls can't make eye contact with those "high and mighty" ones. They have no lobby in the Knesset, they don't interest the media. They are just "victims of peace". I once wrote to Moshe Katzav, a few days before he was to sign the release of 400 terrorists: "You surely are aware of the surveys that show that 80% of the released terrorists return to their terror activities. If so, could you fantasize, for one moment before you sign, that this terrorist will, G-d forbid, kill one of your family members?' He replied that I was "uncouth". And now, once again, Shimon Peres signed the release of Samir Kuntar, thereby aiding and abetting the terror organizations. In any normal country he would find himself under lock and key for the rest of his life for his role in the Oslo crimes. In our decadent state- he continues to serve as president and serve our enemies. In any normal country, the MK's operate according to security considerations and their consciences. Here they go as a herd of sheep led by the radio and TV announcers. Charedi MK's who announced that they wouldn't allow terrorists with bloody hands to be released, are speechless in the presence of the media whom they try to impress. Three weeks ago we were shocked by the bulldozer terror attack in Yerushalayim. While the bodies were still on the ground and the wounded were being rushed to the hospital, the Chief of Police announced that within a half hour life will be back to usual on Yaffo Street. In simple words, the police's job is not to protect its' citizens, but imprint in their minds that murderous terror is a part of the ideal daily life in Israel. That is why the police and the courts allow Arabs to harass and plot against Jews, but jail settlers that try to protect themselves. That is because in this state of Yishmael of ours, the Arabs are the lords and the settlers are the minority people. The dangers that we face are not from the enemies that surround us, rather from the "fifth column" that the enemy succeeded to plant in the political, judicial and communications hierarchy. The situation continues to go downhill. Therefore, from this Israeli state, that has been overtaken from the inside, we will not see salvation. 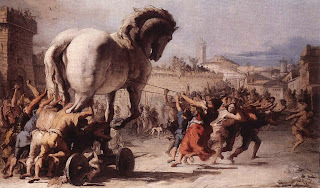 We are left with three options in this "inner exile": a: to oppose the Trojan horses fighting us from within, with all our might; b: fight with self sacrifice so that the virulent bacteria cannot reach its' goal; c: to beg, three times a day, from the depth of our hearts, for the true and immediate redemption: "Es tzemach Dovid avdecho m'heiro tatzmieach", may it be now! Its not the fault of the IDF. Its all due to the leftist Govt of Olmert, Barak, and Livni. They set policy and they tie the hands of the army. I had hoped that we would be rid of Olmert long ago but the leftist AG Mazuz keeps stalling and stalling. Also the corrupt Shas party keeps helping the present Govt to stay in power. Govt Olmert is finished. He did a lot of wrong to the Jewish country and to the Jews. The real ruler is the Mashiach himself. Only Mashiach will come and rule the world immediately. Olmert and all his office supporters have to be punished for the crime against humanity. They have to be punished for assisting the Arab terrorists and neglecting the fellow jew. Arabs have to leave the Holly Land. Mashiach has to already reveal himself now rebuild the 3rd Beit Hamikdash and rule the world. Instead of blaming olmert, livni etc., lets not forget what the Rebbe, MH"M, said. We ALL are responsible for what occrs in Eretz Yisroel. We should be asking "what have I done for Eretz Yisroel & Shlaimus Haaretz'. Pointing a finger at the 'other guy' is a MAJOR COPOUT!!! The leadership of the IDF is responsible. I work in the US defense industry. There are articles every day in the defense magazines that hold the US General Staff responsible the failures in Afghanistan, Iraq and the General war on Terror. Why? Because it is the responsibility of the general staff to advice & inform the civilian staff of what the miliary can do, what it can't, and what violates 200+ years of military common sense. And if what if the political leadership violates this, then it is there responsibility to their troops to refuse orders that put the soldiers in their command at risk. The IDF has time and time again treated the rank and file IDF soldiers as expendable sacrifices, not for military reasons, but for political goals. The Rebbe has commented that the responsibility of the military is to make decisions purely for military reason, and not to endanger Jewish blood for political reasons. Yes, the IDF must also take responsibility (as we all must, and the three weeks is a good time for a cheshbon hanefesh).